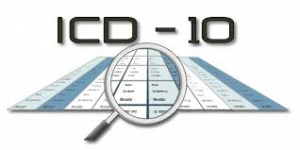 ICD-10 Is Coming…Are You Ready? – Drop dead date for ICD-9 codes. After this date, ICD-10 codes are required*. *Some state government carriers will continue to use ICD-9 codes (Specific States TBD). Not required for Workers Compensation claims. This table will provide you with dates that carriers have announced their ICD-10 effective dates. Please remember that these dates are effective per the carrier and all commercial carriers must accept ICD-10 codes on or before October 1, 2015.